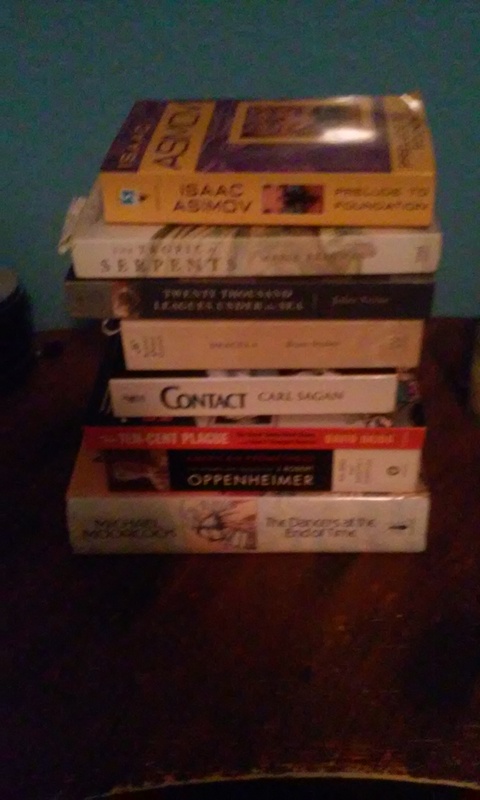 The above is a stack of books once on my shelf that I’d started reading but have yet to finish. To be honest, I expected the stack to be taller. I’m late in posting this entry, because I’ve already finished one of the books. It’s much shorter than Nadine’s list of books and my previous reading resolutions. This is my attempt at setting more reasonable goals. I am not a fast reader, as as you can see it’s almost May and I’ve only finished one book on the list. For most of these it’s been long enough that I will have to start over from the beginning rather than pick up where I left off. I’ll post my thoughts as I finish each book on this blog and/or Goodreads.